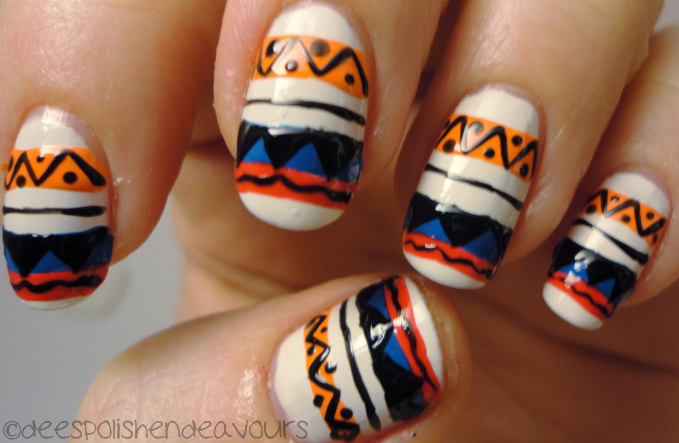 This day I was quite excited for as I have never attempted Tribal print nails.. I don't hate what I did - BUT - I feel like I could have done a lot better. 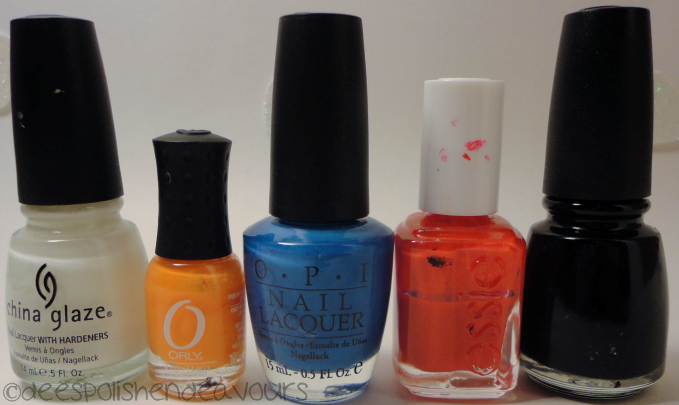 I used: China Glaze White Out, Orly Sol Cabana, OPI Ogre-The-Top Blue, Essie Lolipop and China Glaze Liquid Leather. Looking good! When I tried this challenge it was complete failure - you've inspired me to try again! 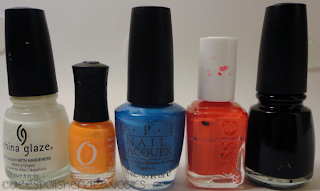 @Nail Polish Anon - I hope you do give it another go! I would love to see what you do for it all!